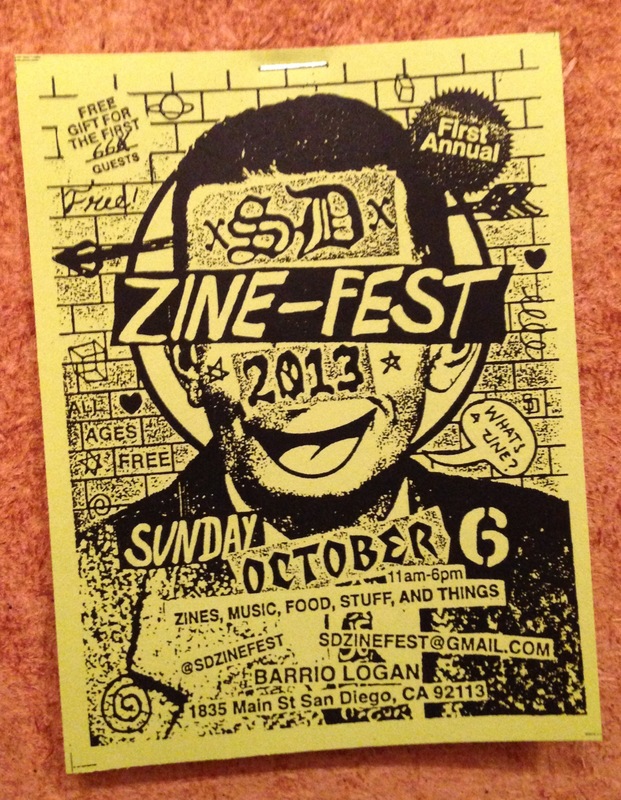 Just a reminder that this weekend is the San Diego Zine Fest (Oct. 6, 11am – 6pm)! Take a look at their Instagram and get an idea of all the great zines they’re going to have! I love that I found out about this fest the old-fashioned way: by seeing a flyer on the wall of a pizza place. A bit further away, the ABQ Zine Fest (Oct. 5 -6)! Are you going? Take pictures!! Organizer Marya Errin Jones has done a heckuva job creating some amazing things for you. Origami Vinyl, which has long been putting out a really cool zine every four months or so, has announced that they’ll now be carrying zines, and they want YOURS! Starting now, we’ll be taking submissions for zines to put on consignment at the shop. This year when we helped judge the FYF Fanzine contest, we were overwhelmed by the creativity and hard work that everyone had put into their zines. We want to continue to support our local creative types. So, whether you’ve already been making a zine or if this inspires you to start one, we want to see it. Every month, we’ll choose 6 to feature on our web store and in the shop. We’re even building a special shelf dedicated to all things zine. In January, we’ll have the first batch for sale! If you would like to submit your zine for consideration, please email Emily: emily@origamiorigami.com. And she’ll send you some guidelines and instructions. < Tomorrow at The Last Bookstore: Zinextravaganza!